If you've used marketing automation in the past, you know it can be tricky. 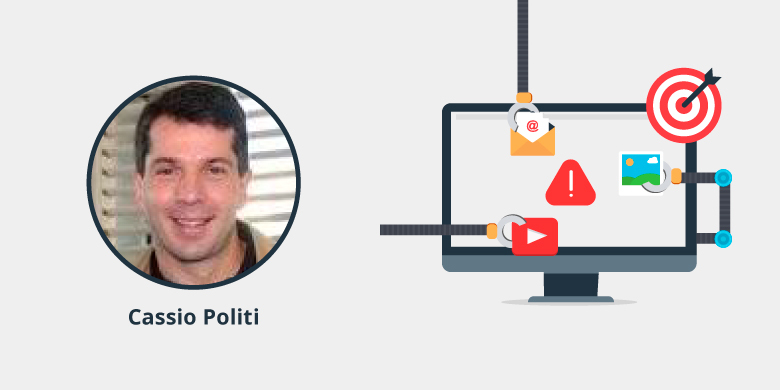 And that's why, one of the most successful content marketing influencers on our list, Cassio Politi, explains how important it is to be careful with the promises that marketing automation tools can make to you. Cassio Politi is the Founder of Tracto Content Marketing, a group of consultants who provide content marketing services to their clients. Based in Sao Paulo, Brazil, he values content marketing and uses it to fuel his business and personal brand. In addition to founding Tracto, Politi is an international content marketing consultant, creator of the Virtual Seminar, and was a featured speaker for Content Marketing World. In my opinion, strategy must come first. I see a lot of companies focusing on tools and that is probably the reason why they fail. Using content as a bait instead of using it as a fuel to foment the connection with a targeted audience. Globally, Red Bull is the best one because they really behave as a media company. In Brazil (where I am from), I think Latam, which is a local airline, is the greatest example. They have a print magazine. The agency that produces it won the Content Marketing Awards of CMI in 2015. And they were one of the top-5 finalists in 2018. 4. What is your favourite content marketing tool (or hack or resource)? The most effective one for my clients is educational content, such as webinars and e-learning platforms. Personally, podcasts provide me a lot of fun both as a listener and as a podcaster. But, I think podcasts are still is a work in progress all around the world. 5. What are your predictions for Content Marketing in 2019 and beyond? I believe that more companies will adopt agile marketing programs because they need to become more productive. 6. How will AI or Machine Learning impact Content Marketing? I think it's going to happen naturally. We are not tech people but we use technology a lot. I think IT guys will make marketers' life easier by providing AI solutions. 7. What advice would you give to a Content Marketing newbie? Be very careful with promises marketing automation tools make. I've seen many companies doing it wrong because they thought a simple formula without a detailed strategy would work.